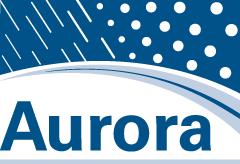 The deployment of different alternative power sources and low-power sensors and equipment packages for remote (off-grid) road weather information system (RWIS) sites in the Aurora Program states in recent years has resulted in a number of system configurations and operational strategies. This report provides a comprehensive review, investigation, and analysis of alternative power sources and power budgets for sensors and associated components used in remote RWIS applications. Through a literature review, investigation of recent developments, and a survey of the Aurora Program states, this study explored alternative power sources and power budgets of sensors and associated components and provides recommendations on existing remote RWIS configurations and methodologies. The study found that a variety of alternative power sources, low-power sensors, and associated equipment are currently available for remote RWIS applications. The survey results showed that a combination of fossil fuel-based and renewable power sources tied to a battery bank are employed as a viable means of reliable year-round operation of remote RWIS sites. The survey results also showed that many of the remote RWIS sites are using weather sensors, cameras, and associated equipment with a much higher power budget than products currently available on the market. These findings suggest that the reliability and efficiency of some remote RWIS sites could potentially be improved through the deployment of low-power sensors and associated equipment combined with alternative power sources.